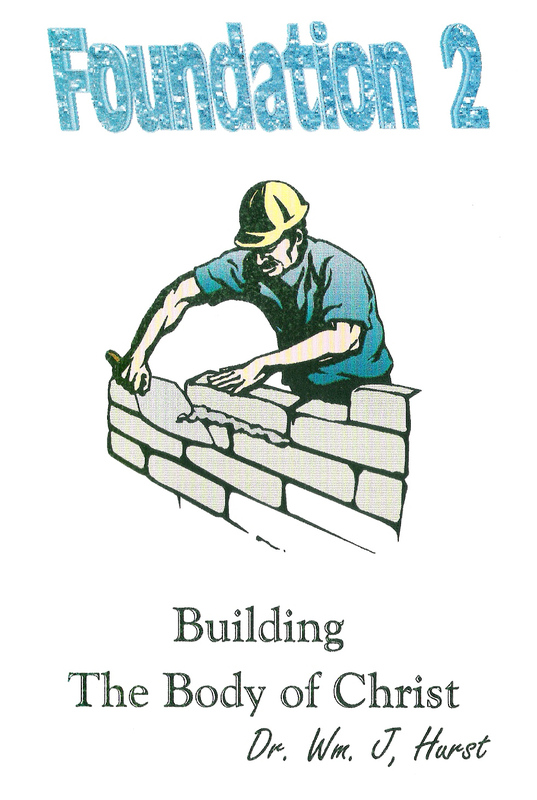 On this page you will find close to 60 courses written by Dr. Hurst. Many of them were written while seeking God for a balance of truth and vision. Subjects are addressed from a totally Biblical base, giving rise to fresh revelation concerning accepted truth that will challenge your thinking and create new lines of discussion. Dr. Hurst's hope is that this will challenge you to "search the scriptures to see if these things be so". This link takes you to the site of The Institute for Strategic Christian Leadership where the material listed as courses can be take for Ecclesiastical degree credits. Please indicate how you would like the items shipped. Unless otherwise indicated, Orders will be shipped by USPS. Please note that on all the books there are now PDF prices. The file will be emailed to you after receipt of your order. Please make sure your email address is attached to your order. PDF files can be read on most Kindles, and IPads. If you have a problem with any of the books when you put add to the cart and are unable to put in the PDF price, go to donate, click and in the box for description put the PDF file name that you are paying for and send it that way. At the end of this page are links to DVD' pages, CD pages and other items of interest. 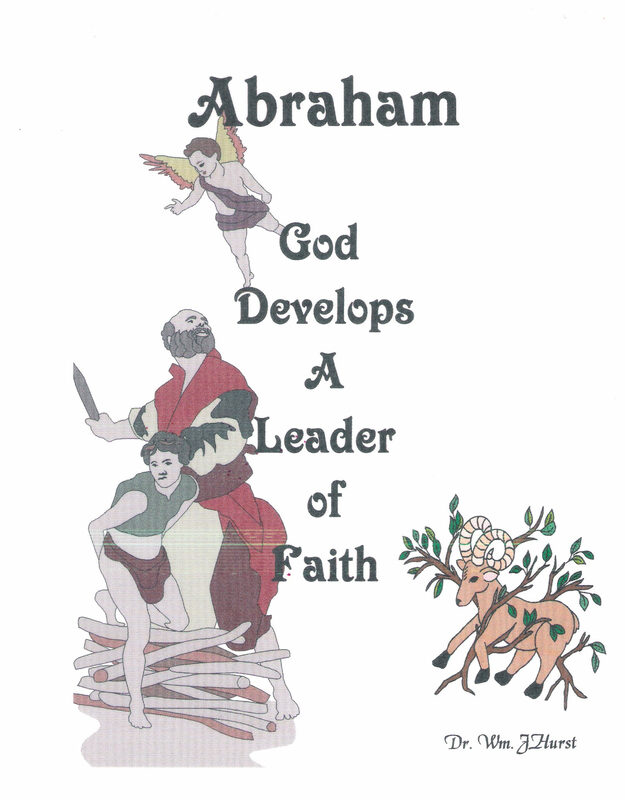 Applications are made using God's processing of Abraham to become the Father of Faith. 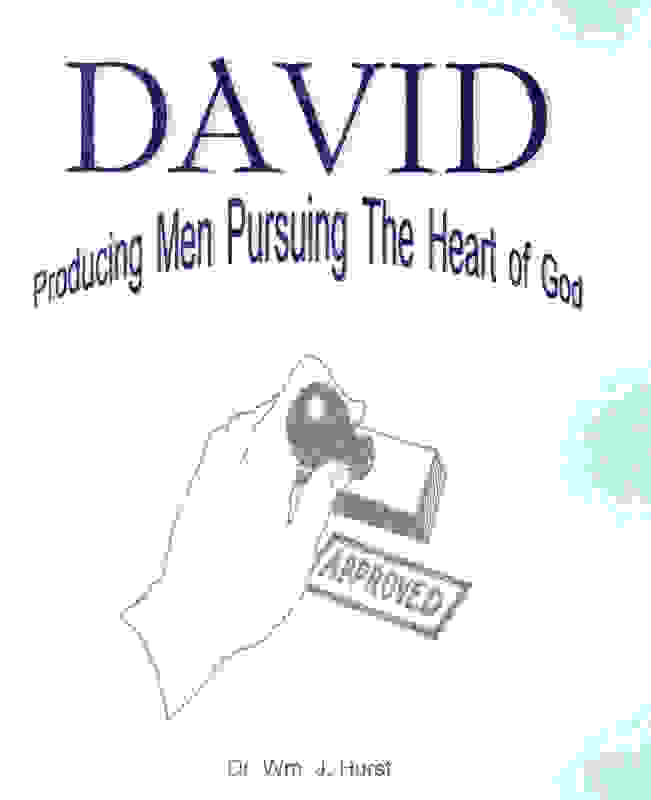 God's preparation of a man for covenant are applied to us today. Also available as a PDF $15.00 - After receipt of order it will be emailed to you. Please make sure we have your email address. 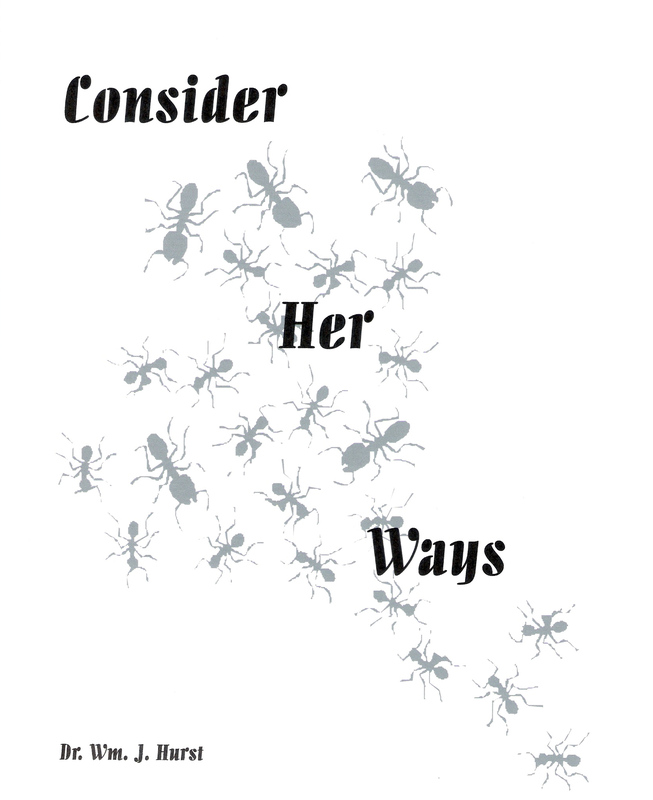 "Consider Her Ways and be wise", God told the wise man. This study guide endeavors to help follow those instructions coming to so surprising conclusions. Also available as a PDF $10.00 - After receipt of order it will be emailed to you. Please make sure we have your email address. 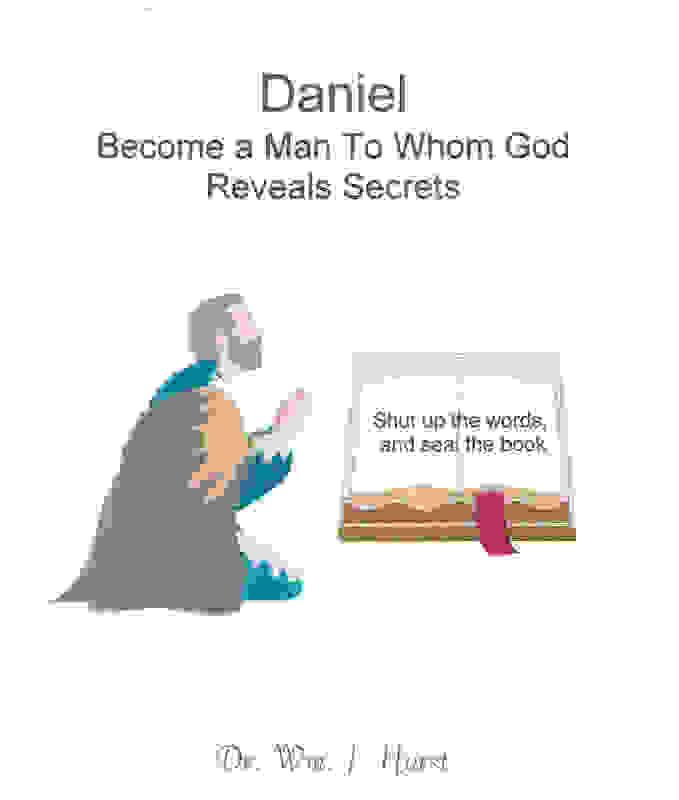 The life and character of Daniel are considered, drawing forth the principles that made him a man to whom God revealed secrets of the ages, with the view that God wants to prepare men like him today. 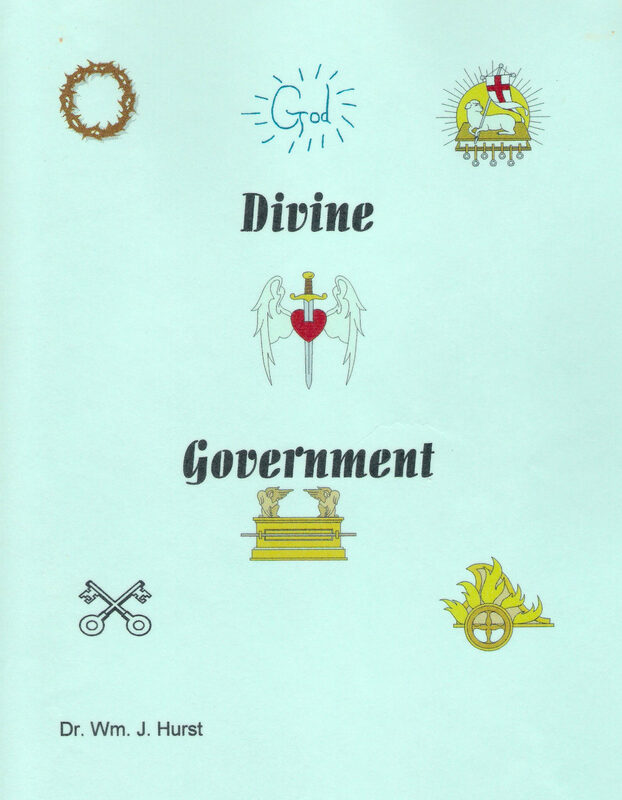 This is a fresh look at the government of heaven is studied as a templet for the government of God's church and Kingdom, with some surprising results and conclusions. With God's promise to restore the Tabernacle of David in the end time, this becomes one of the most important character studies for the Christian today. Also available as a PDF $30.00 - After receipt of order it will be emailed to you. Please make sure we have your email address. As we approach the Battle of the Ages, the spiritual warfare principles contained in this book become essential for the Church to understand, to come into her inheritance. 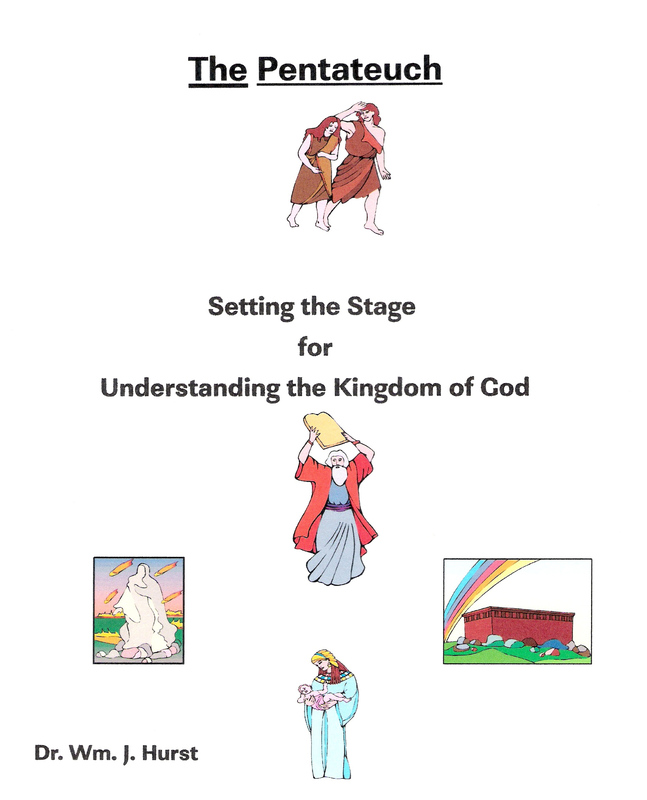 A number of charts are used to follow the Christian's growth patterns through to what the Bible calls maturity. If you follow this study through, there will be a number of surprises. It will also help you gauge the level of maturity that you and others are living at. In following the principle of mentoring throughout scripture, we glean innovative understanding of the importance of relational aspects mentoring. 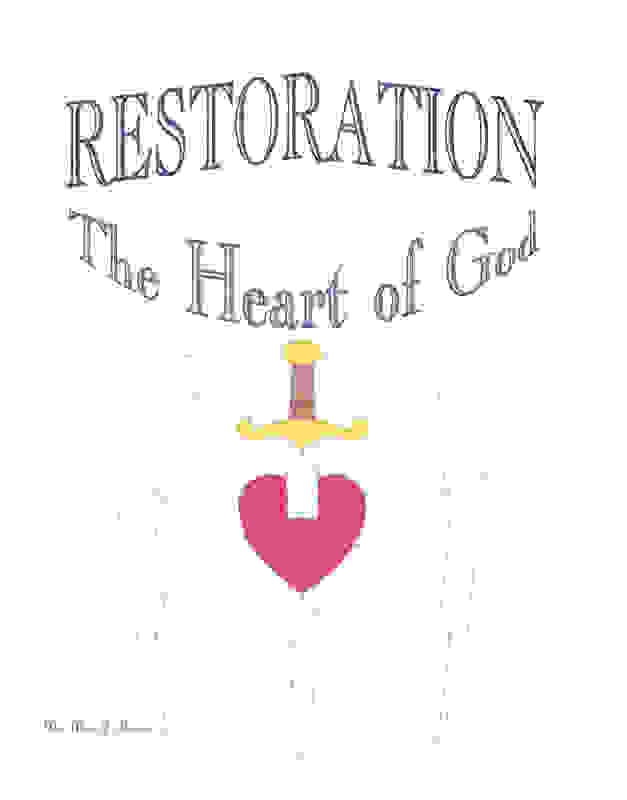 Restoration, The Heart of God. This subject is studied looking at the action of God in restoring His men, and drawing parallels, because He is the Lord that changes not. It causes us to ask the question, Should all principles of restoration be enacted in the light of God's example. 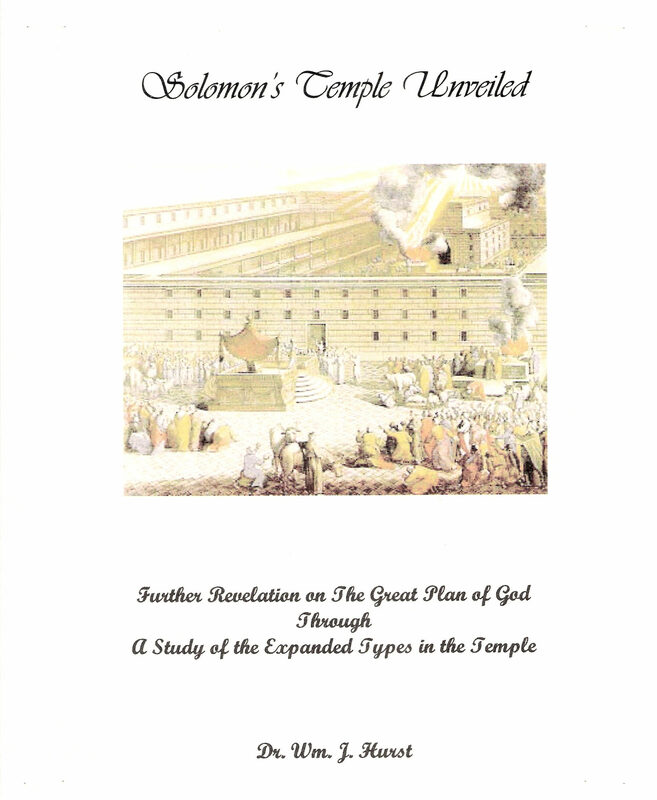 Hidden in Solomon's Temple is the wisdom of the ages. As the leader of Israel's golden age, he built a perfect pattern in which secrets of the ages are hidden. At least some of these secrets that unveil the "ages to come" are examined through this type and shadow, that God said was perfect. In calling us the Body of Christ, by the Spirit, Paul opens an invisible world of relationship that has yet to be understood by the Church. Journey with us into the invisible world that illustrates how the Body of Christ is to interrelate and cooperate with one another. 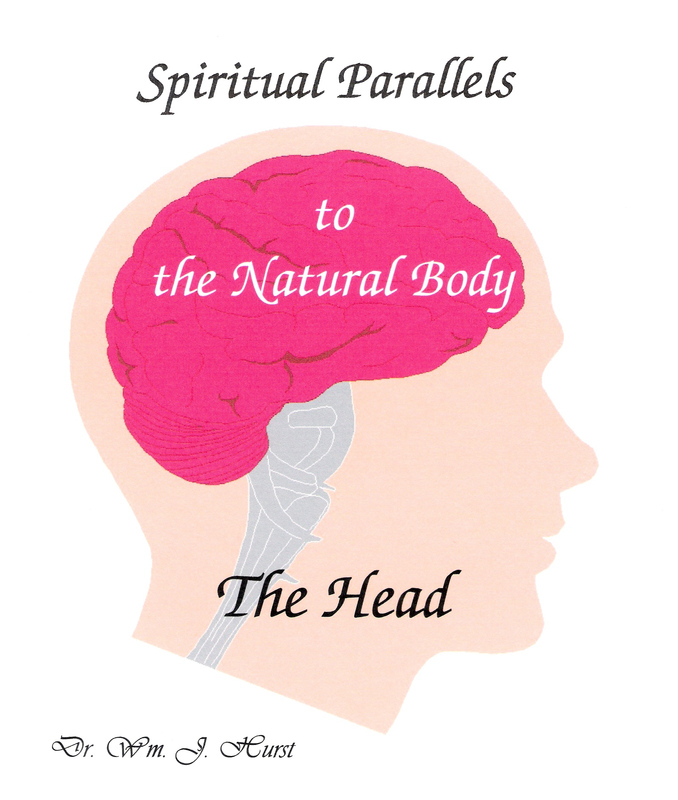 In this second in the series, parallels, the apostle draws, are examined in the light of modern understanding of the natural body and our spiritual understanding is enlightened. But now, can we apply it? This study examines how God produced, in a world used to dictators and despots, teams that knew how to flow together manifesting heaven's government and ministry model on earth. 1 Corinthians 11 tells us that all the things that happened to Israel of old, were examples of us on whom the ends of the age are come. 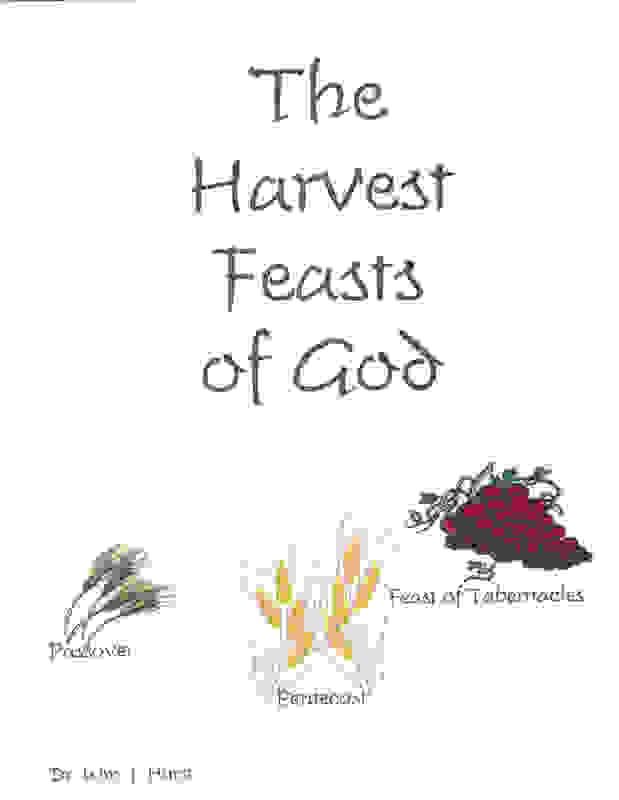 How the Feasts of the Lord fit into that scenario are examined in this book. Also available as a PDF $20.00 - After receipt of order it will be emailed to you. Please make sure we have your email address. In the study of the end times, there are patterns throughout scripture that have been ignore. 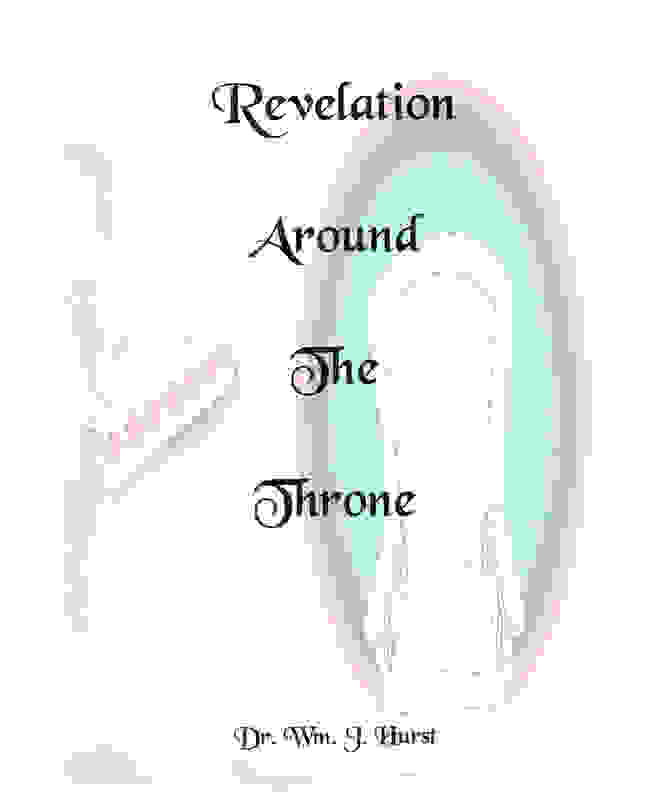 This writing examines all the patterns of God and sets the stage for the study of the Book of Revelation, focusing on the God who changes not. 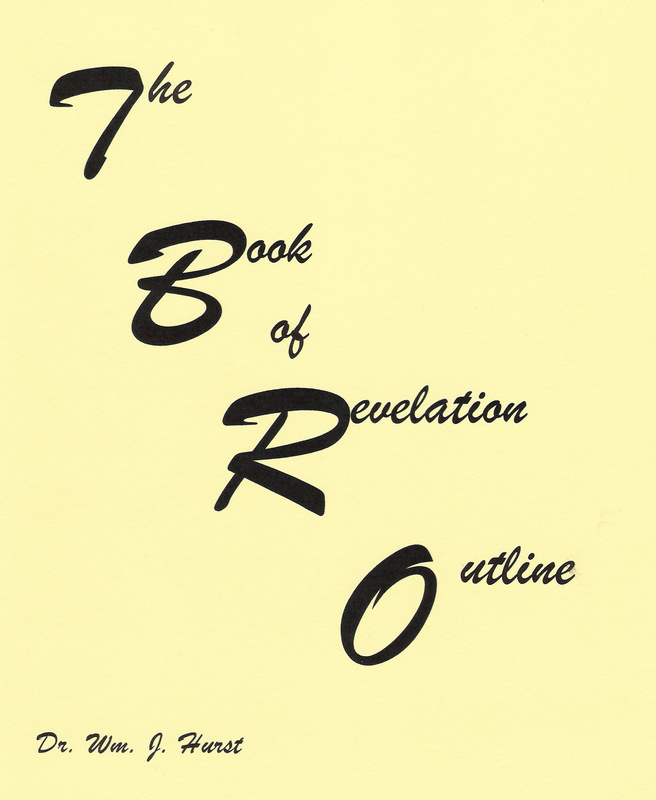 The author wrote his way through revelation and then developed this outline. 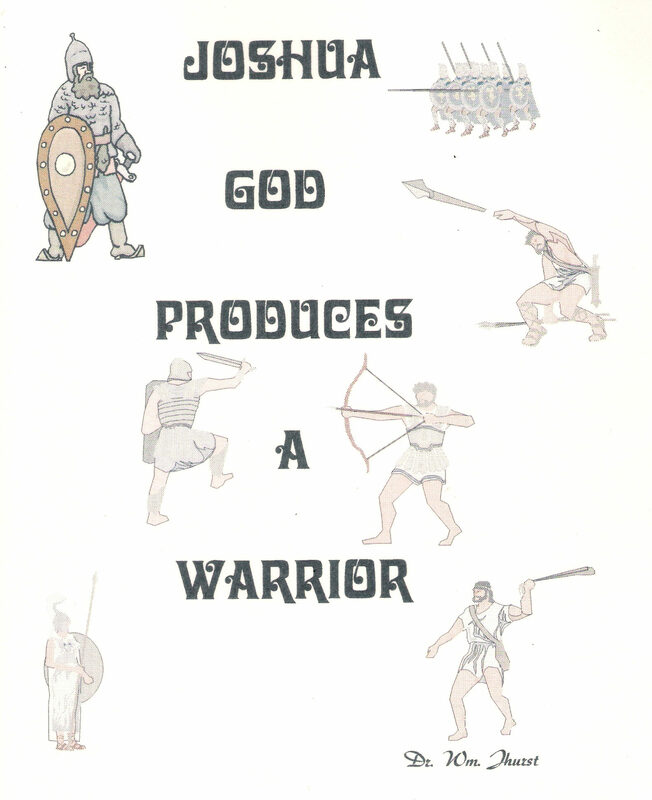 It gives a comprehensive overview, of the book in the light and context of the Whole Word of God. 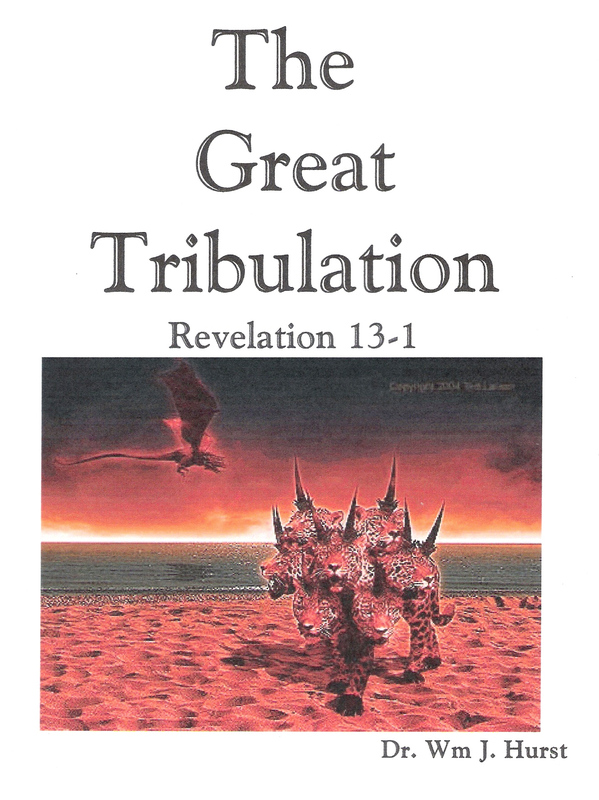 Although end time events are treated, the focus is what God is doing in and with His people, bringing forth some unusually interesting conclusions. 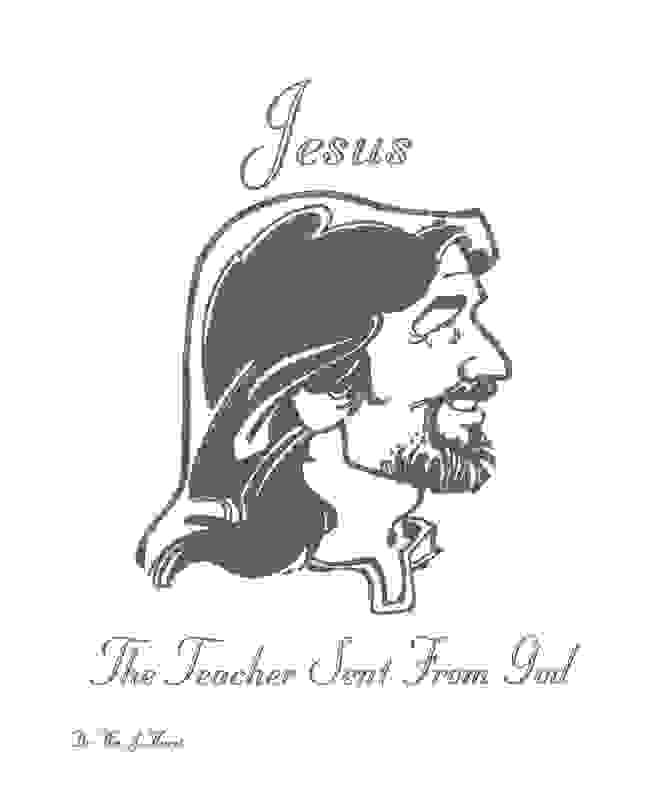 This often studied Book, is the Revelation of the person of Jesus. 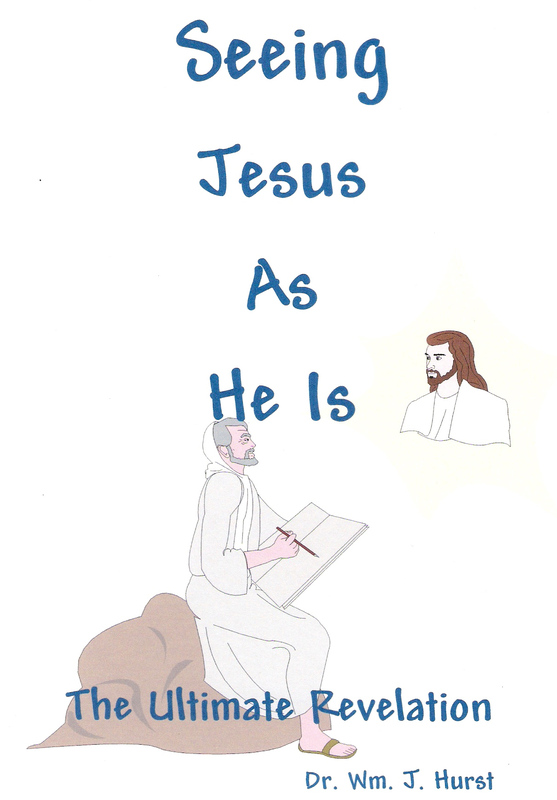 Setting the stage for the study of the rest of the book, the author takes time to study this seeing of Jesus as He is. 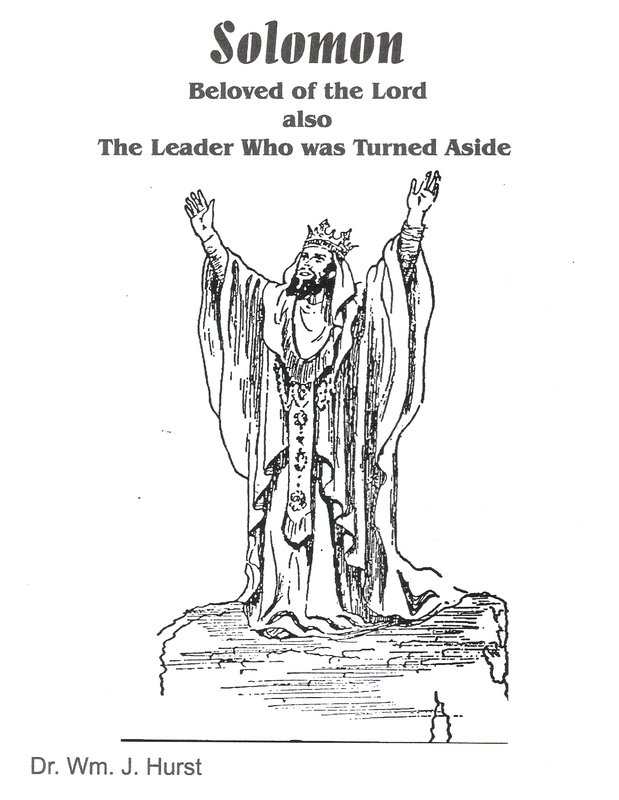 "For when we shall see Him as He is, we shall be like Him"
The Revelation of Jesus Christ to The Seven Churches. Continuing on from the first chapter a number of surprising conclusions are drawn as John continues to set the stage for the unveiling of Jesus, when He is "revealed from heaven"
In Chapters four through seven, the heavens are opened in a new way and fresh revelations of Jesus, in His Body, are given as the seals are broken. 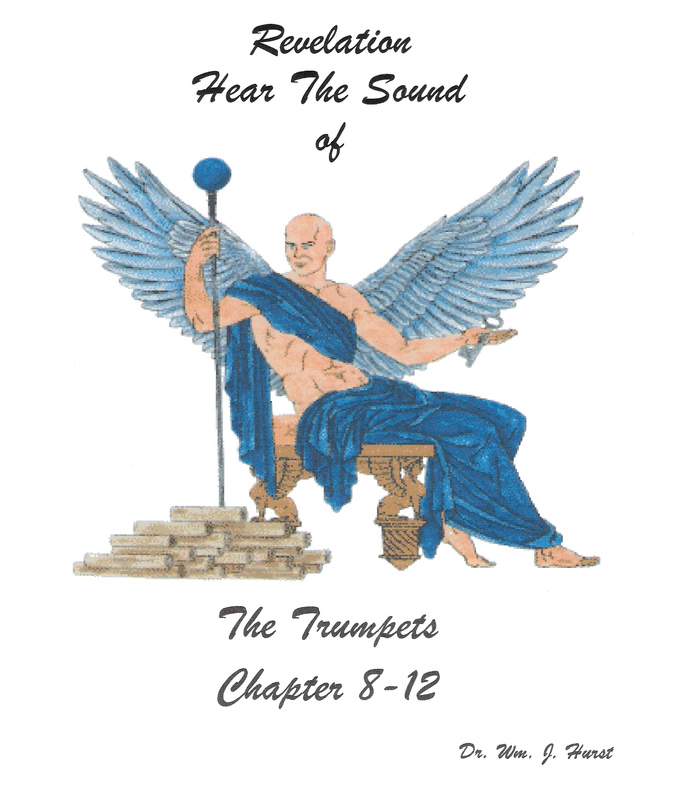 In following the Trumpets use throughout the Word, aspects of the Trumpets in Revelation are seen, that have not been unveiled before. 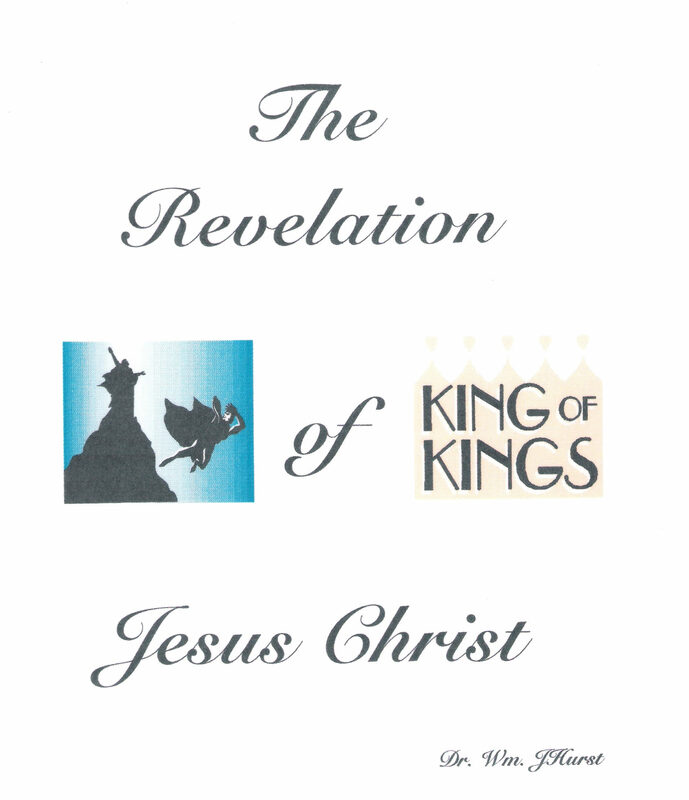 Also we are brought to the transition from the Kingdoms of this world to The Kingdoms of our God and of His Christ. 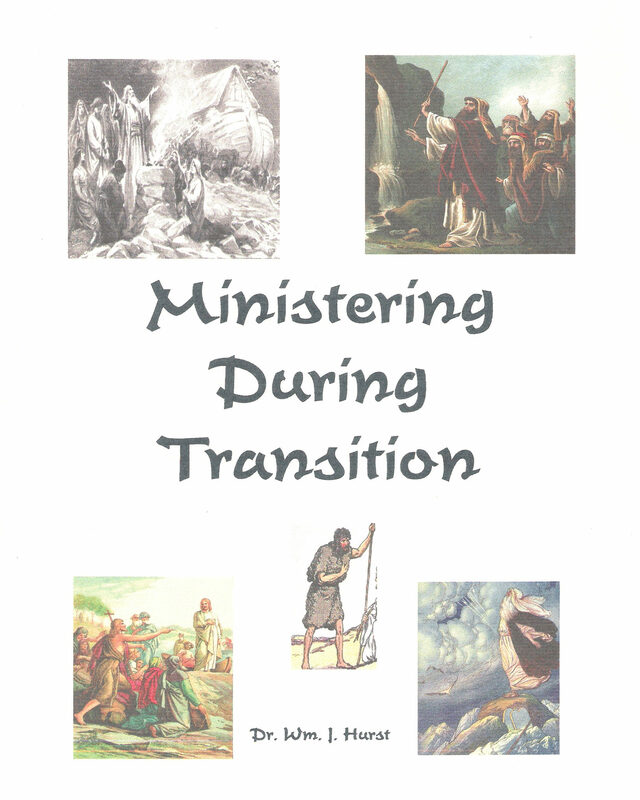 The principles of transition laid out in the Word are revealed in this study. Then the application is made to the last days will help us prepare for His Glorious appearing. As the author takes us through scriptures referring to this evening before the morning of the Day of the Millennium, the fear that has been generated for years is washed away, and the awesomeness of our God is revealed. 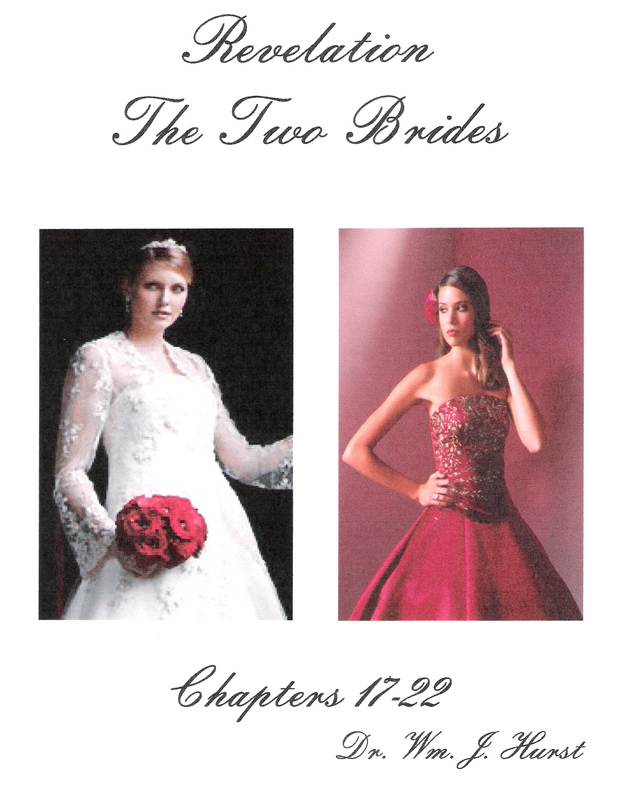 The two women in Revelation are contrasted in this concluding study of the series on the Book of the Revelation of Jesus Christ. 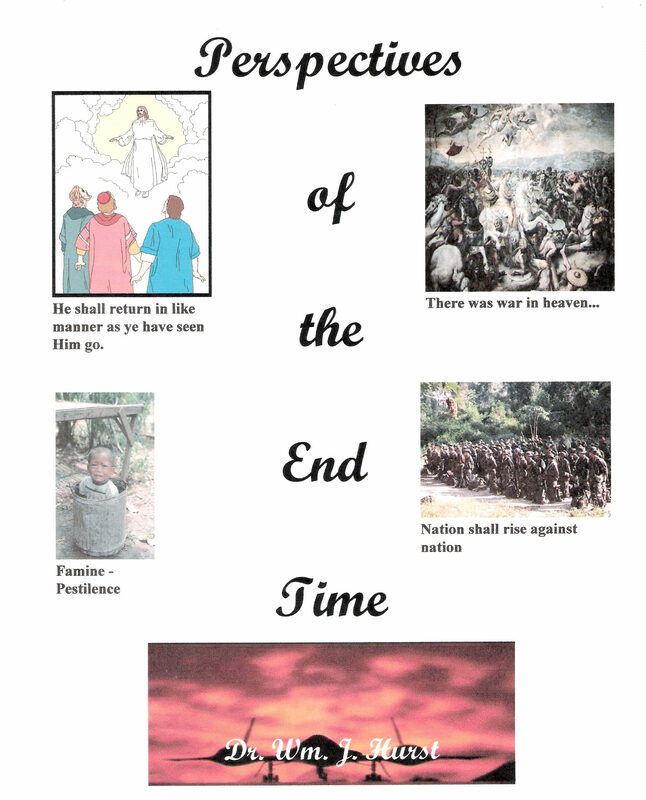 The glory of the King's daughter within is unveiled, and God's plan for humanity in the ages to come is completed. Because God made us, it is imperative that we understand our makeup from the maker's manual. This first in a series of studies lays the foundation for understanding us from God's point of view. 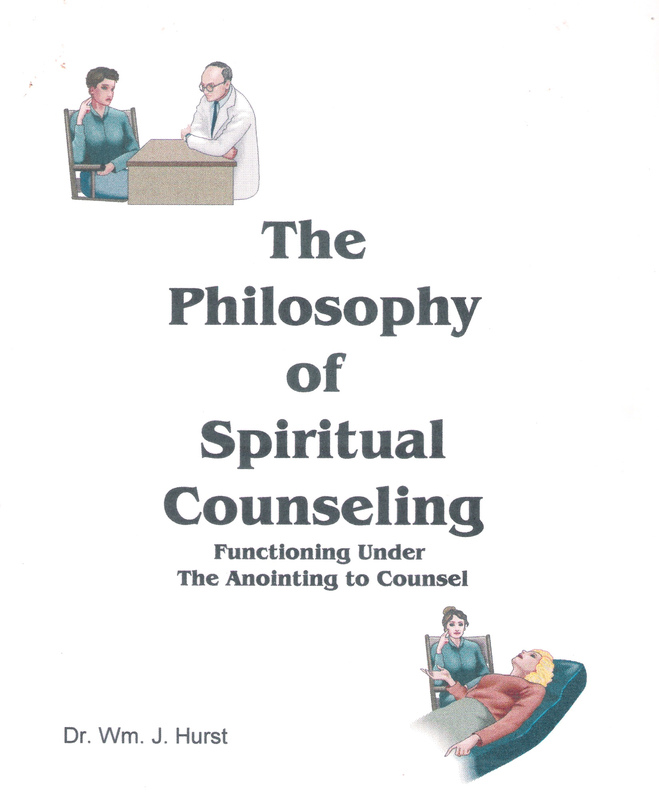 Taking the foundation laid in the Philosophy of Spiritual Counseling, the author builds on what the Creator says can contaminate our spirit, and what He desires to replace it with. This will possibly give a new understanding to "I will build my church... . 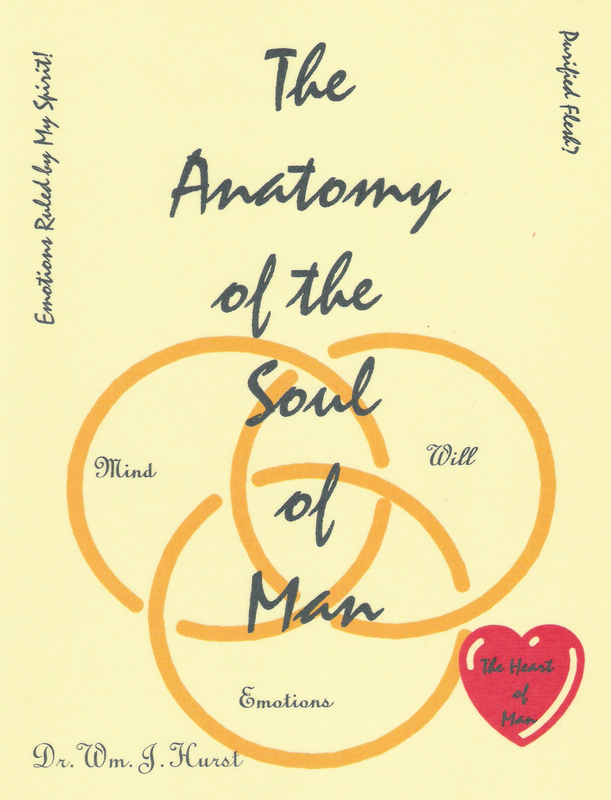 The soul of man is complex. It is the ground where battles for the eternal destiny and reward are fought. 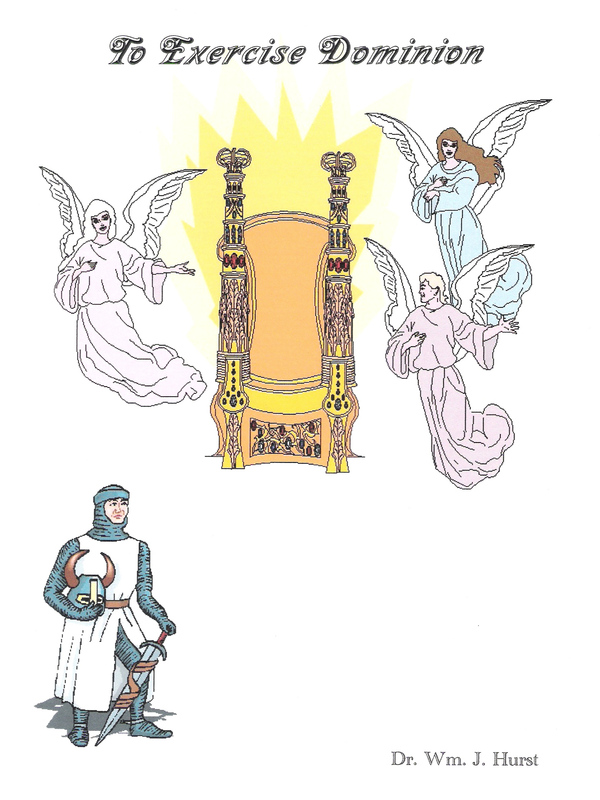 In this study the groundwork is laid for understanding portions of this battle of the ages. It has always been God's purpose from before the foundation of the earth to bring His Kingdom to earth. In the light of this truth, the first five books of the Bible are examined seeking to unveil Kingdom principles hidden in this historical treatise. 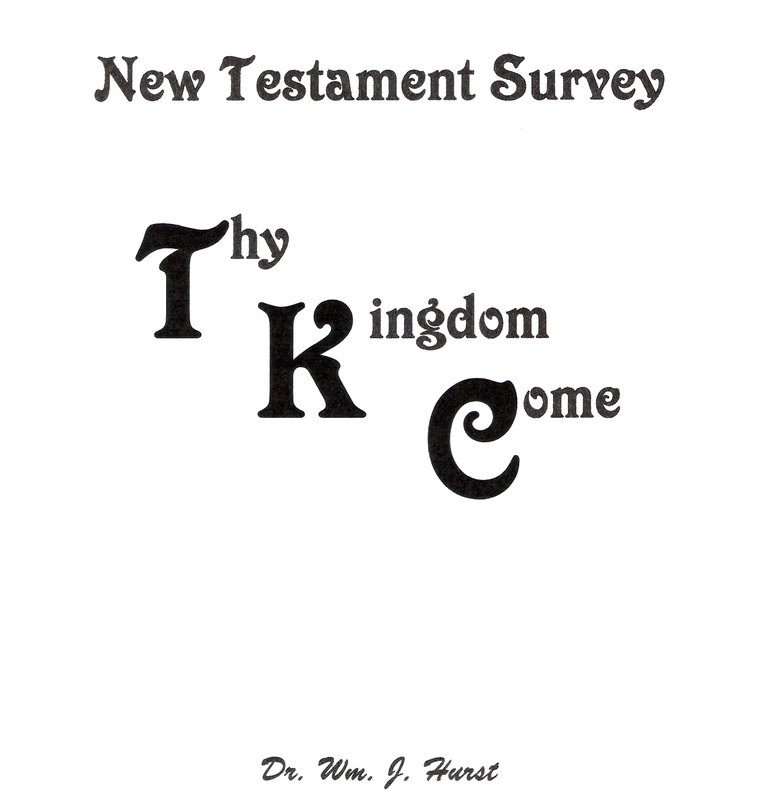 Jesus prayer to His Father, Thy Kingdom Come, is the setting for examining the New Testament writings, bring forth some startling conclusions. 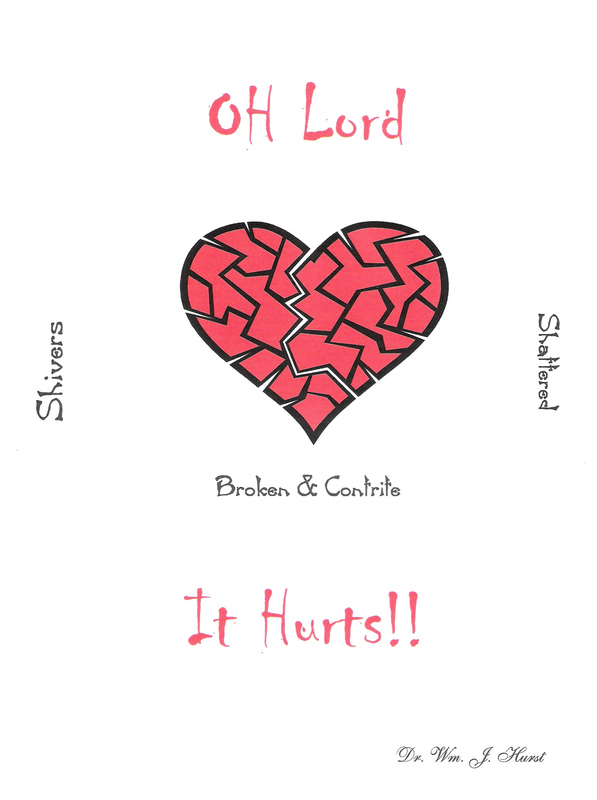 Coming out of great pain, this small booklet examines some of the reasons, given in scripture, for going through difficulties. Help is given so we might learn the difference between, when to yield to the dealings and when to stand and fight. 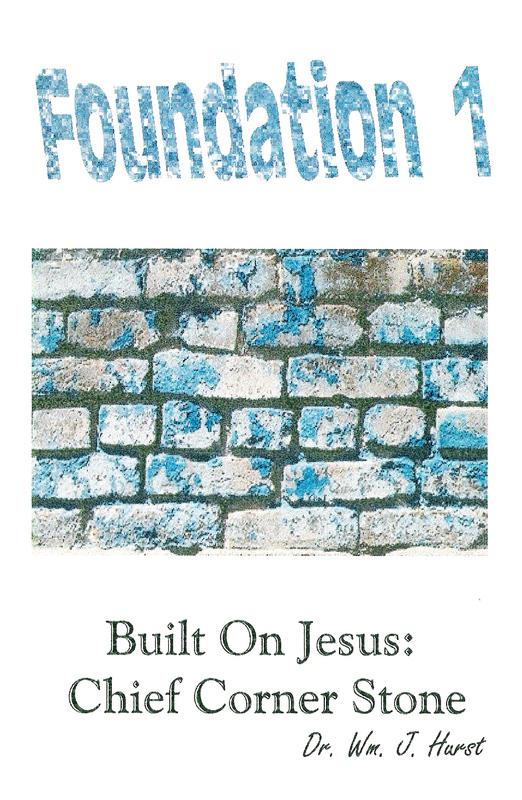 Also available as a PDF $2.50 - After receipt of order it will be emailed to you. Please make sure we have your email address. 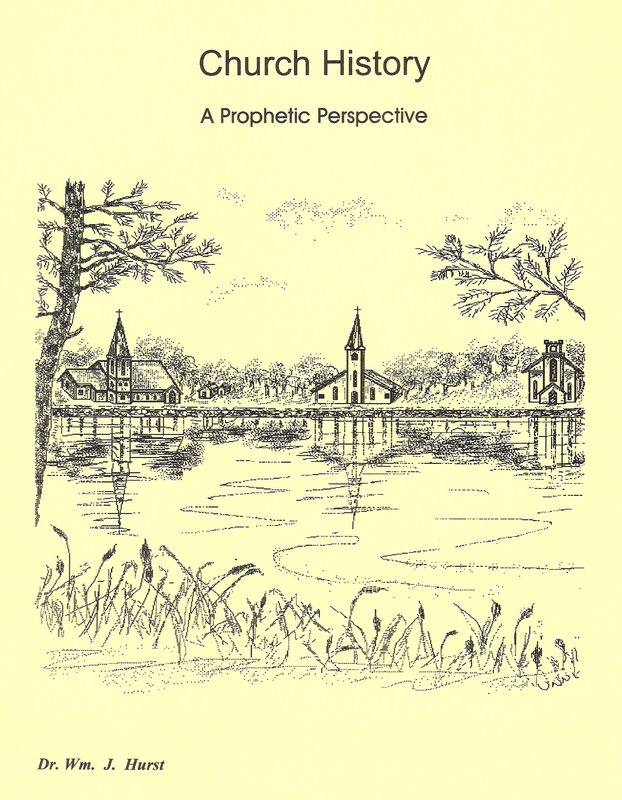 This small booklet gives us a Biblical understanding of authority and submission, destroying the traditional concepts, and bringing balance to a much abused set of passages of scripture. As we examine the lives of several of God's men, we find principles that we may be able to see working in our own lives. 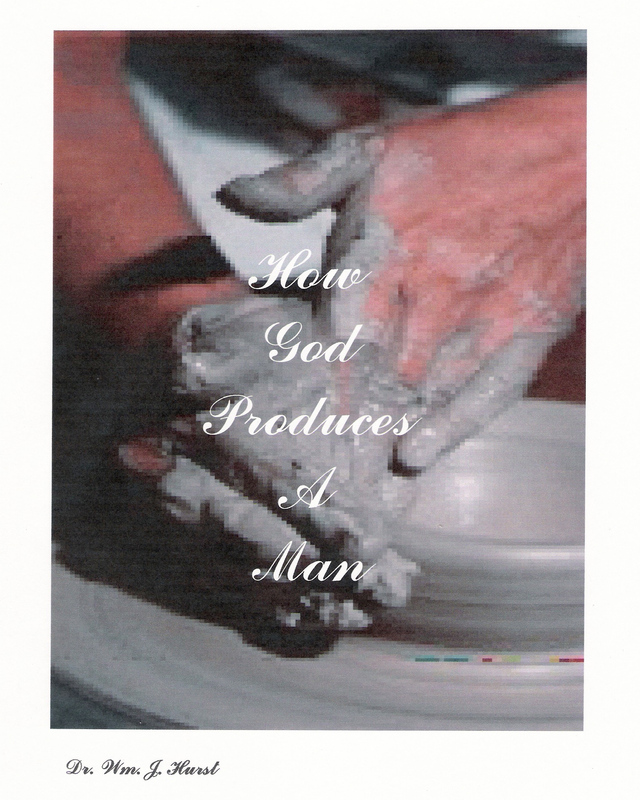 This booklet helps us understand some of the "whys", of the way God works, in the processing of His nature in our lives. Also available as a PDF $3.50 - After receipt of order it will be emailed to you. Please make sure we have your email address. Using the types and shadows in the O.T. 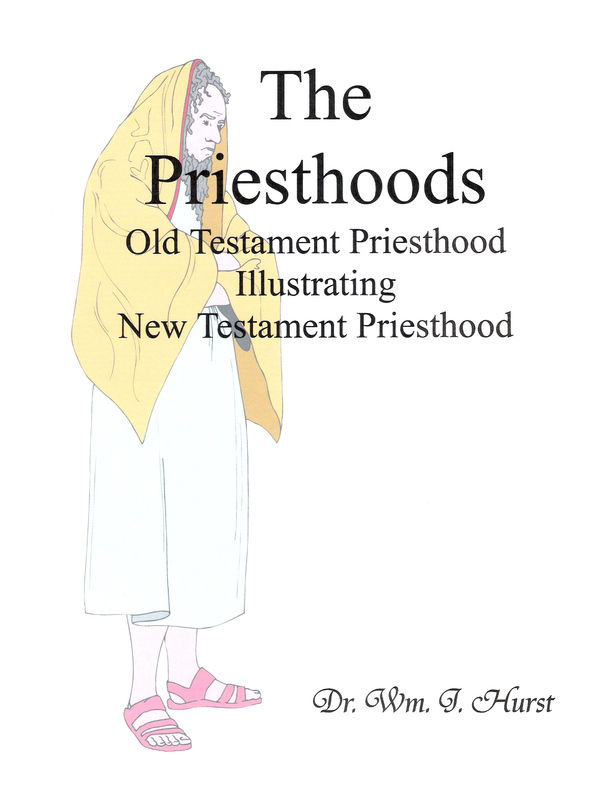 priesthood, the author illustrates through the principles given to the O.T. priests, how maturity in the priesthood of the believer is obtained. Spiritual applications make the priesthood of the believer real to the reader and relevant to modern Christianity. 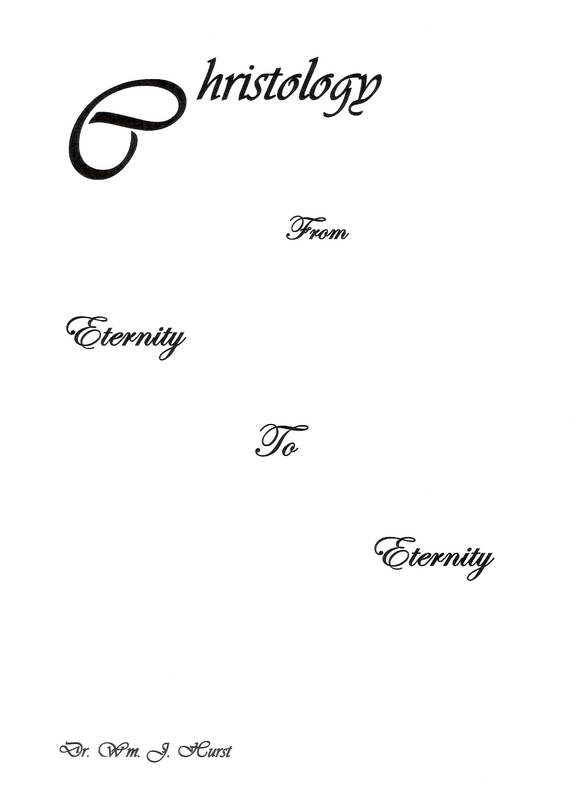 Jesus is followed from the bosom of the Father, in eternity past, through creation, time and back into eternity having accomplished all the Father wanted done and purchased redemption for man. Also available as a PDF $25.00 - After receipt of order it will be emailed to you. Please make sure we have your email address. 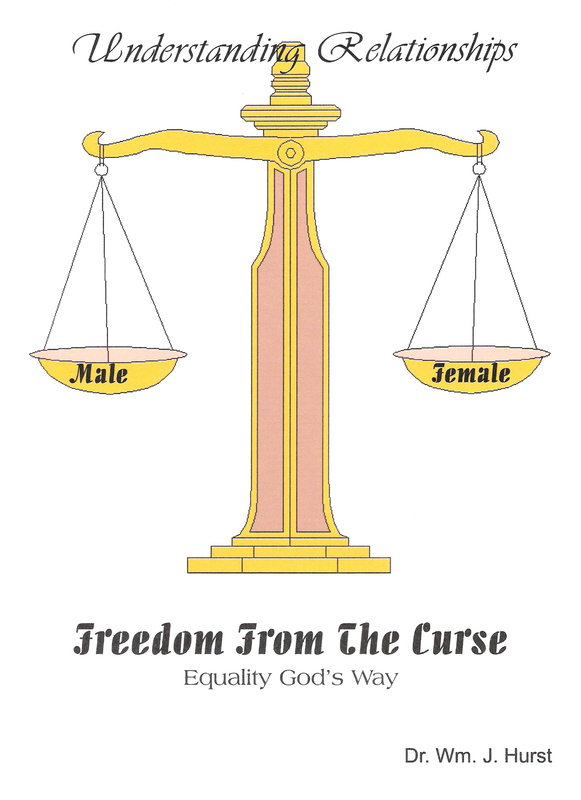 Understanding Relationship, Freedom from The Curse. Starting with God's own statements and following His parameters for man and women, through the fall, through redemption and into the Body of Christ, relationships according to the pattern are studied, with surprising results. 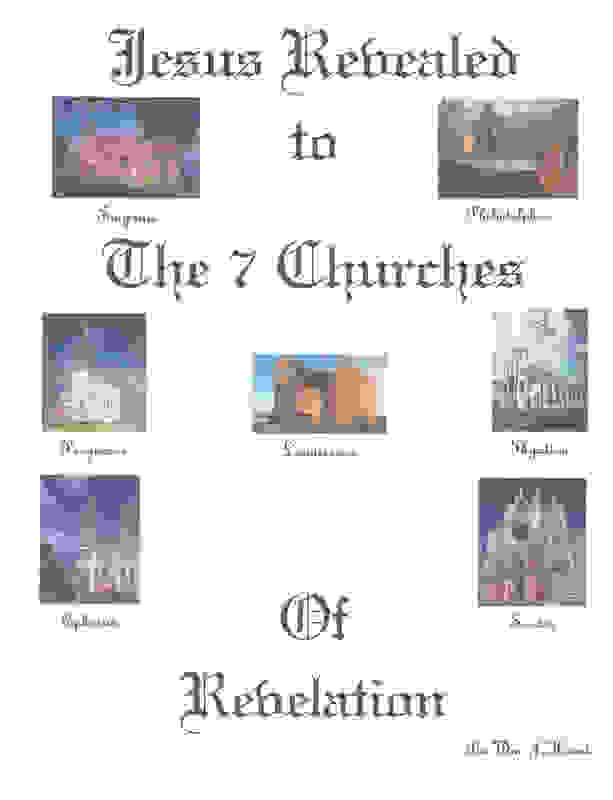 Also available as a PDF $12.00 - After receipt of order it will be emailed to you. Please make sure we have your email address. Job is viewed through God's testimony of him, rather than man's. This gives new meaning to the book and gives understanding to why God allows the trial of our faith. 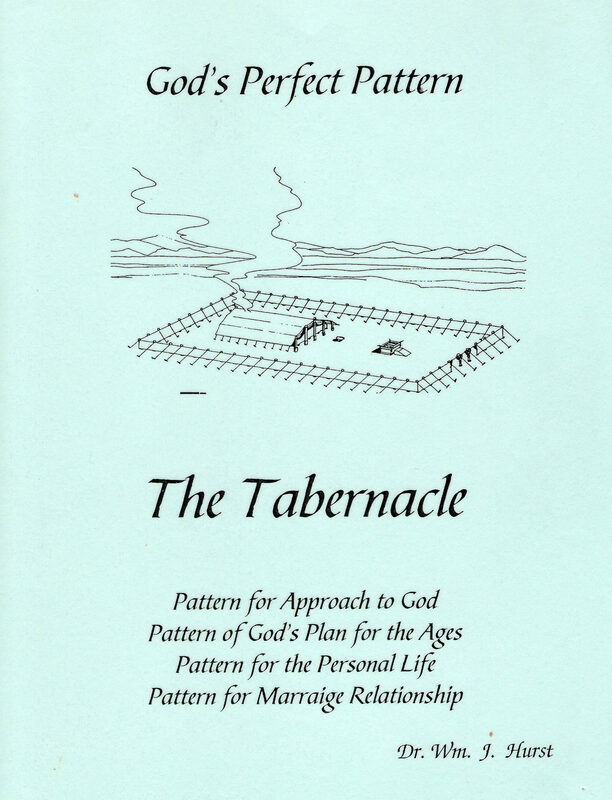 Following God's Pattern in revealing Himself to His men of old, the author shows how God used the same pattern to bring restoration to the Church. Just as God's focus in history recorded the His work, so Dr. Hurst following the same pattern, talks of God pattern of restoration of truth to His church. There are some surprising development to stir the thought processes. In searching the scripture for the ministry of the Evangelist. recognizing that God hid all the New Testament ministries in Old Testament types, it was difficult to find the Evangelist. He was well hidden. 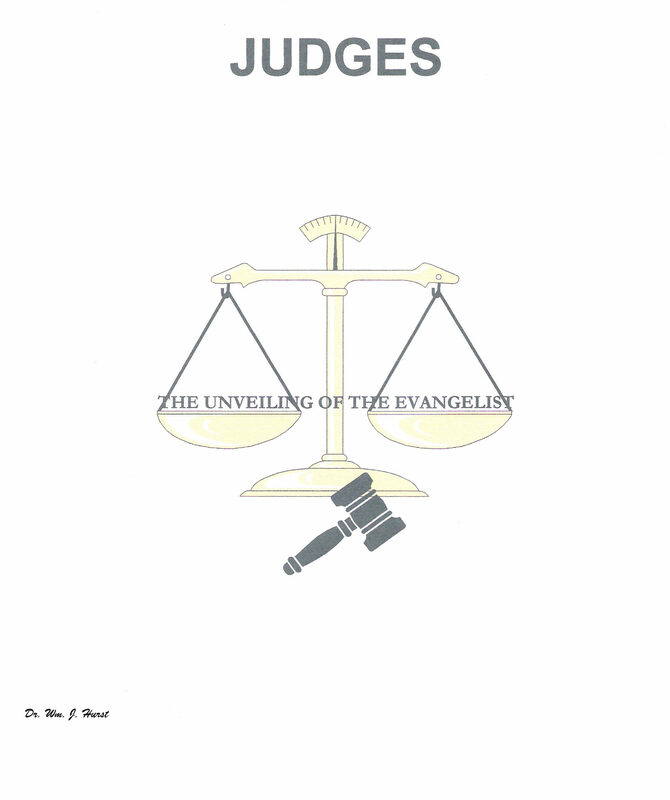 Then I compared the ministry functions with the few incidents in the Book of Acts, and it led me to Judges. Discover some astonishing truth in this study! 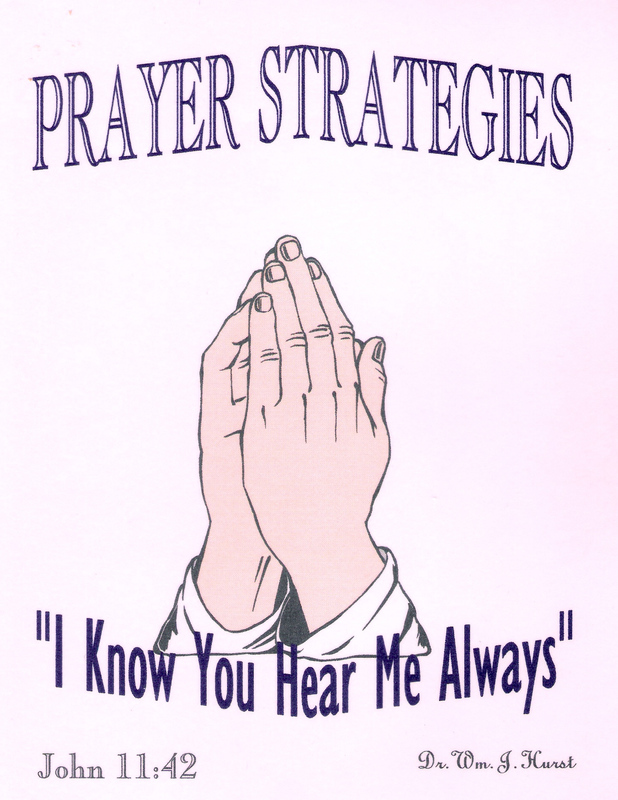 In these days of varied emphasis in the church, it is important to get a foundational understanding of what prayer is. Often, because of religious upbringing and wrong concepts men and women are deprived of a vital relationship with God through traditions that keep them from God instead of drawing them to Him. 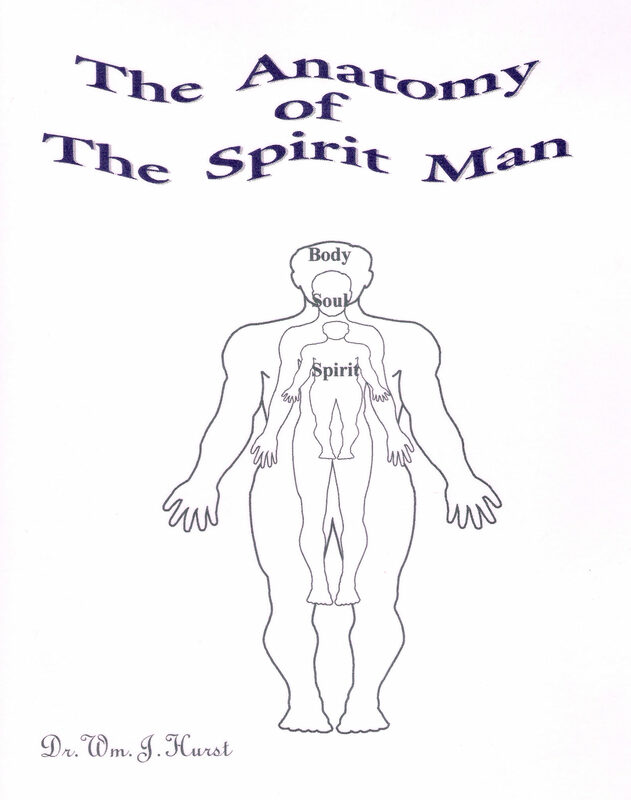 In this study we find out how to be heard of God without any fanfare or spiritual gymnastics. 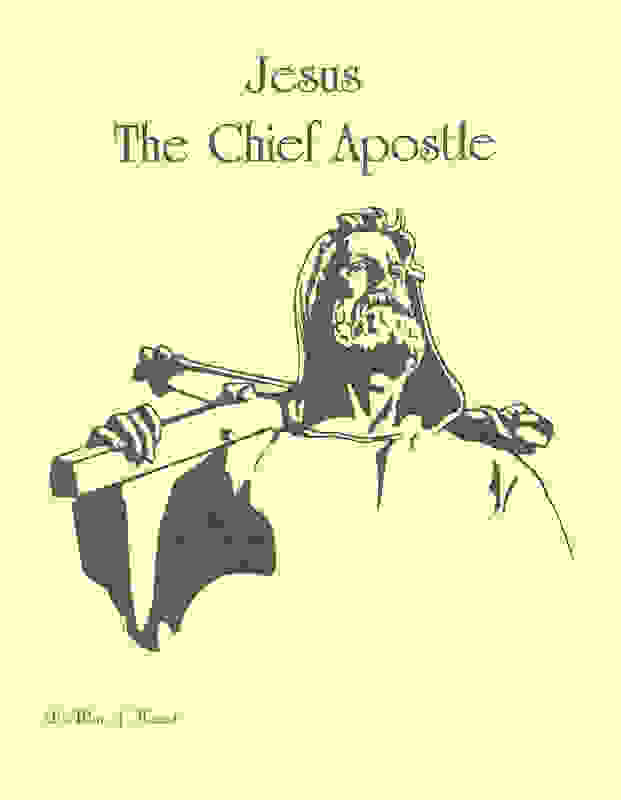 Hebrews calls Jesus Chief Apostle. In seeking God the Lord showed the author how to divide the life of Jesus using the 5 ministry gifts and showing how specifically He fulfilled them. 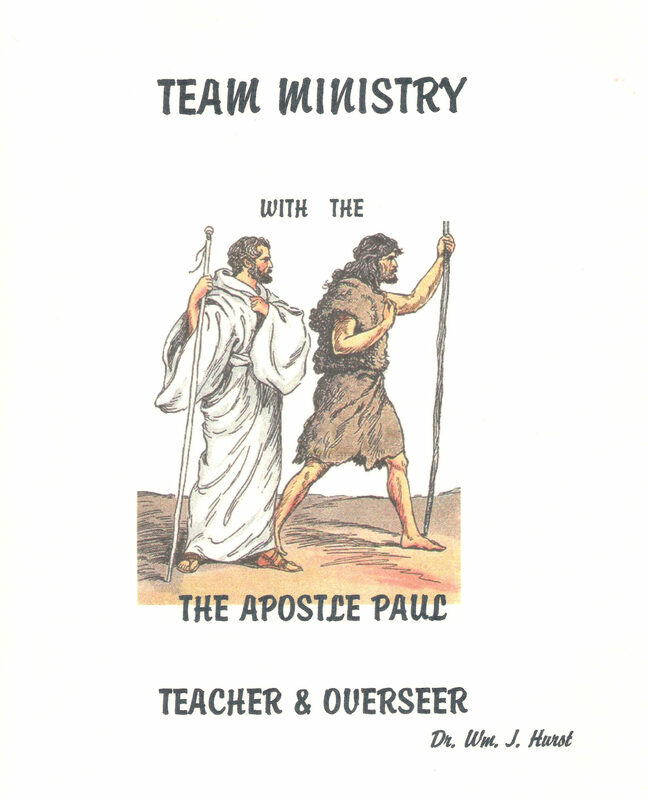 This first in the series shows that the largest portion of His ministry was given to the expression of the Apostolic Ministry and how, when, and where that took place. 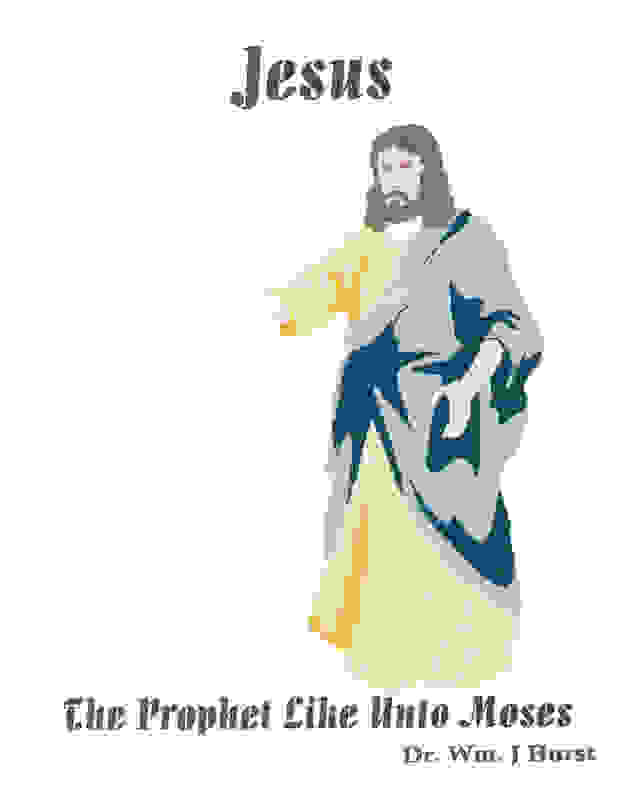 Describing, and then using the prophetic tools to help, the author shows how Jesus fulfilled the prophecy in Deuteronomy through Moses that describes Jesus, as the prophet like unto Moses. This study takes us through the Life and Ministry expression of Jesus, delineating the Teaching Ministry, The Evangelistic Expression, and the Pastoral or Shepherd's heart. Do not assume you know these expressions for there are surprises in each section. 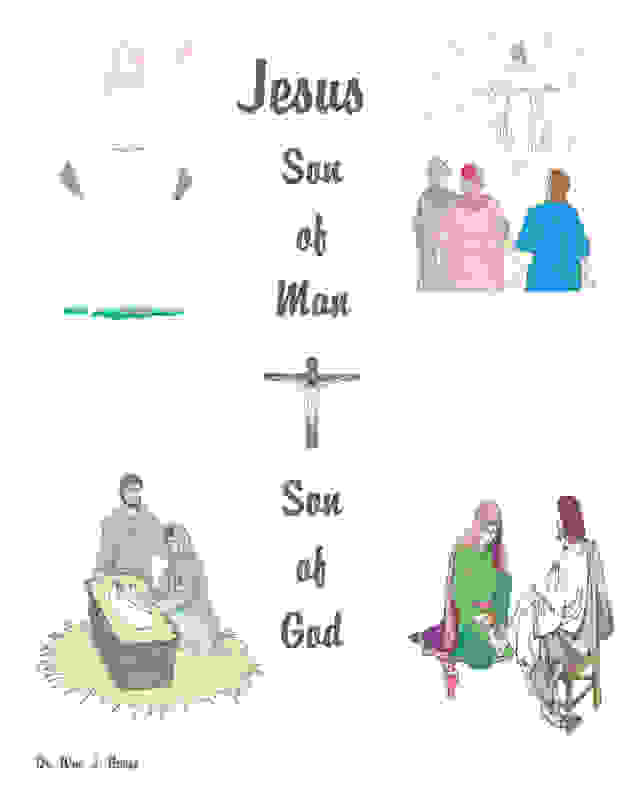 As with the other lessons in this series, the Holy Spirit helped the author define when Jesus was functioning from the Son of Man and the few times He functioned as the Son of God. This marvelous study holds precious surprising truths that make our salvation more precious as we examine His life. Our hearts overflow at the graciousness of God as we examine from Acts through to Revelation in the light of how Jesus revealed Himself to the Apostles and the rest of the writers of the New Testament, as with each appearing more of His greatness and character are revealed. 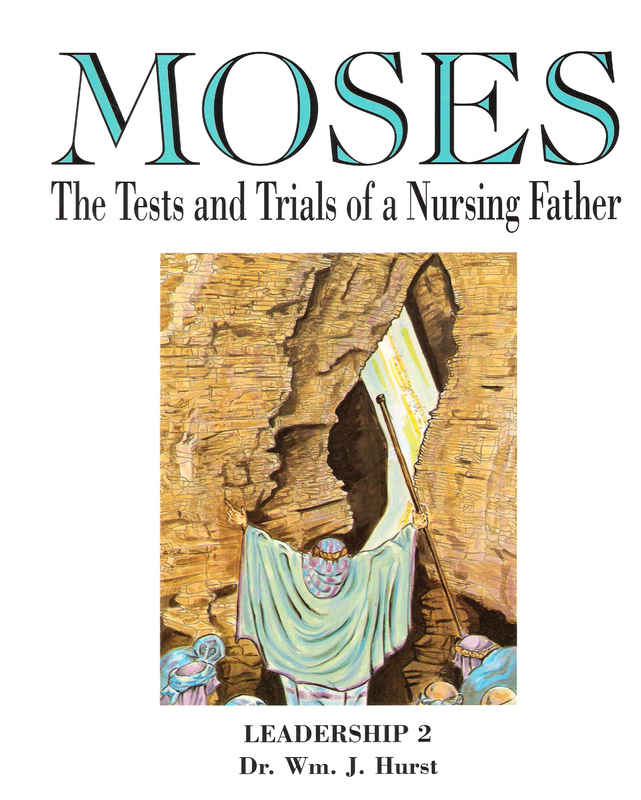 One of the earliest writings of the author, this study Moses as a type of an apostolic ministry being, trained, processed, released and functioning in ministry. Many truths concerning true leadership and function in a local assembly as well as the larger Body of Christ are gleaned from these pages. 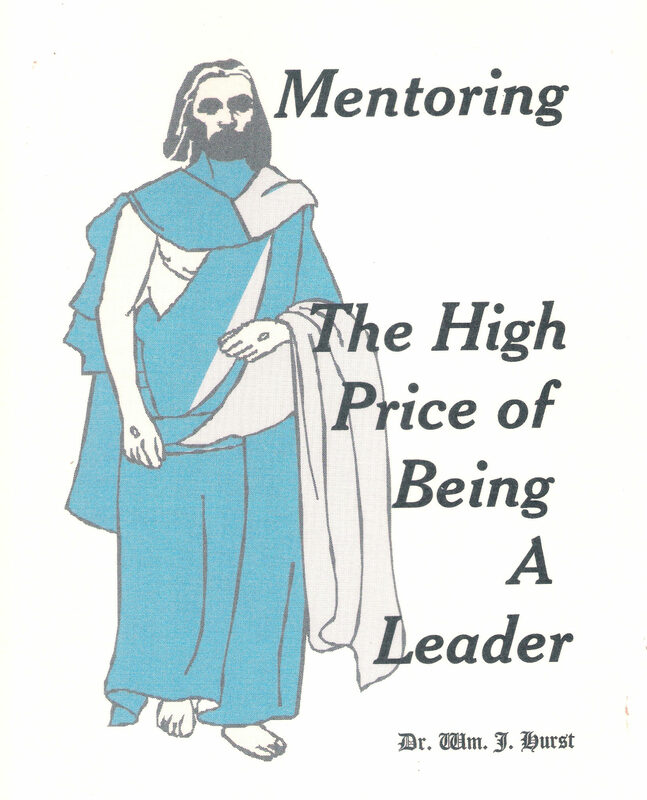 Written as a treatise on leadership this book takes God's dealing with Solomon, through his early years, his years of revelations of God, his backsliding and his return to the Lord at the end of his life. From its pages are gleaned numerous lessons and applications for helping and gaining hope for, all those stages of Christian walk. This study guide takes you through the basics of the gospel, teaching us how to study the Bible, step by step, using the Bible, a concordance, and a notebook. The principles of study learned can then be transferred to computer study as well. 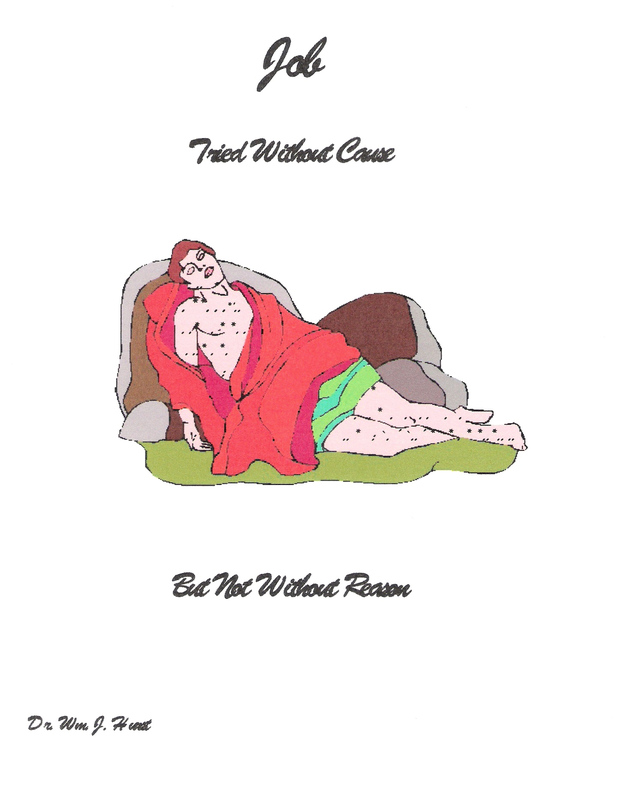 Also available as a PDF $4.00 - After receipt of order it will be emailed to you. Please make sure we have your email address. This continues to teach you how to study while helping you learn the basics of ministering to the Body of Christ. Many have desired to know how to hear from God. Dr. Hurst takes us through scripture laying out the ways God has spoken down through time and how they apply today. How to judege what you are hearing is taught as well. 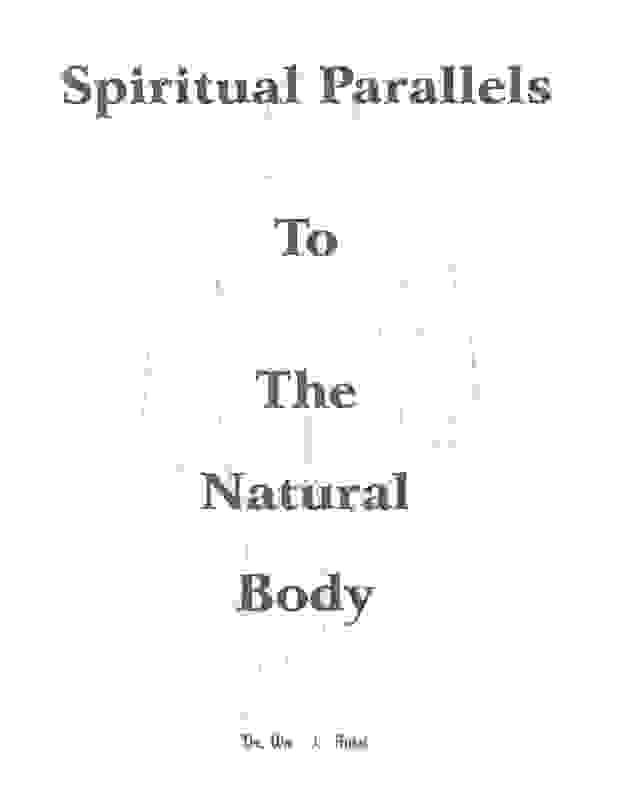 As list of types and shadows with scriptural foundation is also taught. This is and exciting study that will help you understand the way God speaks to you. Please be patient with us as we continue to construct this site. Coming soon, a complete list of available books, with tapes and CD's and DVD's to be added later. Please note that on all the books there are now PDF prices. The file will be emailed to you after receipt of your order. Please make sure your email address is attached to your order. PDF files can be read on most Kindles, and Pads. Single Items (books) will be shipped in bubble envelopes, Multiple items (book) will be shipped Flat Rate unless otherwise specified. Thank you for your order.